The young and exceptionally talented composer. 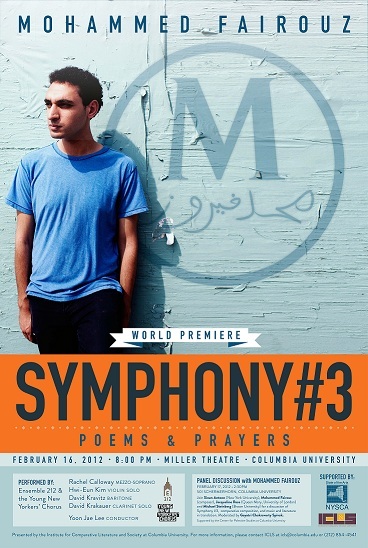 On February 16, New York’s Columbia University will host the world premiere of Mohammed Fairouz‘s “Symphony #3: Poems and Prayers,” set to open at the university’s Miller Theatre at 8 p.m. The following afternoon, a panel of creative and intellectual luminaries — including the widely acclaimed Fairouz, novelist and translator Sinan Antoon, and translator and theorist Gayatri Chakravorty Spivak — will discuss the intersections of music, literature, and translation. The talk is scheduled to begin at 2:30 p.m. at 501 Schermerhorn, Columbia University. Fairouz’s “Poems and Prayers,” after all, is a libretto that grapples with issues of literature and translation. It weaves together poetic texts from the Arabic (Mahmoud Darwish, Fadwa Tuqan), Aramaic, and Hebrew (Yehuda Amichai), and opens itself to discussion about music(s) and words. 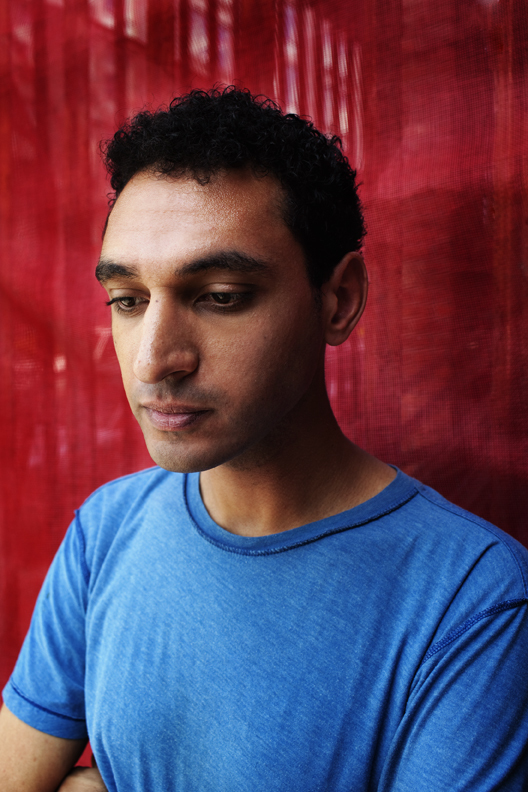 The New Yorker has called Fairouz an “expert in vocal writing,” and Gramophone Magazine named him a “post millenial Schubert.” Columbia Professor Rosalind Morris adds that Fairouz’s work frequently engages text. For example, his…”States of Fantasy,” was written in response to his reading of Jacqueline Rose’s book by the same name, and attempts to engage the status and problems of nationalism in the history of Israel/Palestine. It uses different musical forms often associated with nationalist sentiment–anthemic elements and celebratory resolutions, for example–and attempts to put them into question by juxtaposing them with other, less harmonic elements. Ensemble 212 and the Young New Yorkers’ Chorus will be performing Symphony #3. Tickets for the premiere of “Symphony #3: Poems and Prayers” are $25 for general public, $15 for faculty, and $5 for students (with CUID only, limit 2 tickets per ID). Click here for the Box Office. The discussion, “Music, Literature and Comparative Compositions: The Task of Translation,” is free and open to the public. More about the event.